This is such a cute way to serve an apple tart in place of or in addition to your traditional pumpkin pie this Thanksgiving. And other than a couple of raisins for the eyes, you don't need any additional ingredients that you won't already have on hand if you were planning to make a Thanksgiving apple tart. 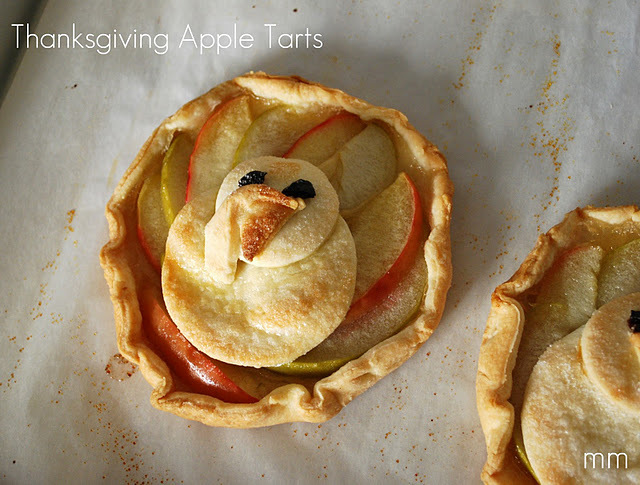 You can read more about this cute turkey apple tart over at Best Friends for Frosting.